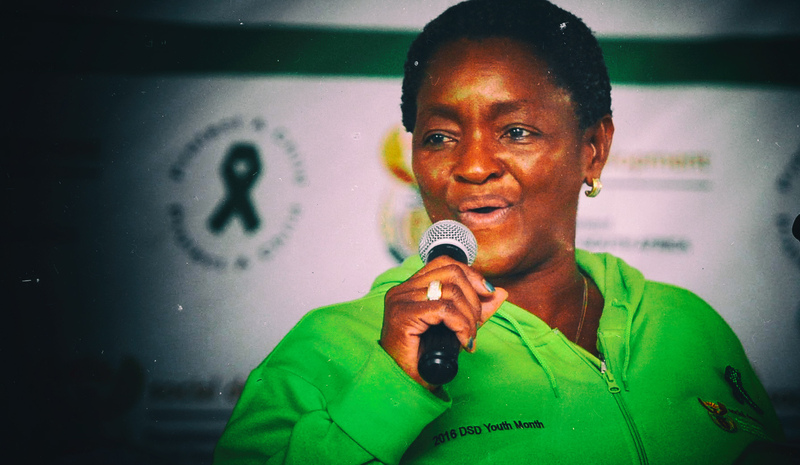 After narrowly averting a national disaster when the Constitutional Court had to step in in the CPS/NET1 “Sassagate” saga in March this year, Sassa, Minister of Social Development, Bathabile Dlamini, CPS and others – like delinquent teenagers – have found themselves under constant scrutiny in Parliament, in court, through the watchful gaze of civil society and through having to report to a 10-person panel of experts appointed by the AG on instruction of the ConCourt. On Wednesday Parliament's portfolio committee on social development learnt that the panel will cost Sassa an extra R2-million. By MARIANNE THAMM. So far, each time Parliament’s Standing Committee on Public Accounts has met to thrash out Sassa’s reported R1.1-billion in irregular expenditure for the last financial year, some or other emergency ends up dominating proceedings and throwing members off the scent. If it’s not sick a CEO it’s the AWOL minister or a DG who has resigned overnight. On Wednesday, briefing Parliament’s committee on social development, Sassa informed members that the cost of a 10-member panel, appointed last week by the Auditor-General as per instruction from the ConCourt, would be R2-million. And it is Sassa that will have to pay. The panel has been constituted through an order of the court because, let’s face it, there is a severe trust deficit when it comes to Minister Bathabile Dlamini and her dealings with regard to the payment of social grants to some 17-million vulnerable South Africans. The panel of 10, chosen from 23 names submitted to the court, was announced on 13 June. It consists of former Reserve Bank governor Gill Marcus, ANC veteran Mavuso Msimang, head of the National Payment System Tim Masela, IT expert Mmamolatelo Mathekga, Deloitte director Angela Bester, partner at Genesis Analytics, Anthony Felet, advocate Werner Krull, attorney Dorish Tshepe, banking consultant Heinz Weilert and consultant Brand Taute. Meanwhile, the clock is ticking for Dlamini with regard to whether she should be personally liable for the cost of bringing the Sassa/CPS social grants matter to the ConCourt in the first place. On 15 June the ConCourt gave Dlamini and all other parties involved in the matter 14 days to investigate the roles of those implicated. Handing down judgment, Justice Johan Froneman said the court could not make any adverse finding on the basis of untested allegations with regard to Dlamini’s appointment of “work streams”, which reported directly to her in contravention of governance protocol and overriding work done by Sassa officials. In her affidavit to the ConCourt in March Dlamini had fingered officials for the mess, while Sassa CEO Thokozani Magwaza and former DSD Director-General Zane Dangor filed replying affidavits claiming Dlamini’s work streams had undermined Sassa executives and officials. Justice Froneman said that the allegations were “serious”, and if correct, Dlamini’s failure to disclose this to the court “bears strongly on whether she acted in good faith or not”. Meanwhile, Treasury has informed Sassa that the appointment of the work streams, at the cost of R45-million, is irregular. It is this that Dlamini is going to have to explain shortly. In a letter dated 25 May, Treasury’s Director of Governance, Monitoring and Compliance, Solly Tshitangano, informed Sassa CEO Thokozani Magwaza that the procurement of the advisers was non-compliant with Treasury’s supply chain management process and is regarded as irregular. It was the NGO the Black Sash and the Centre for Applied Legal Studies (CALS) that took Sassa to the Constitutional Court when it became increasingly evident that Sassa would not be able to meet the 31 March deadline to take the payment of grants in-house and that it was inevitable that the unlawful contract with CPS would be extended. Both organisations were concerned that recipients should be protected when the CPS contract came to an end and/or when it had to be extended due to the “self-made” crisis. Public interest group, Freedom Under Law, supported the Black Sash and CALS’ application but added that it wanted to scrutinise all documents relating to the contract with CPS. Responding to the ConCourt’s 15 June ruling, FUL said that it welcomed the decision and also Judge Froneman’s invoking of the Superior Courts Act which could see “Minister Dlamini, officials within her department and Sassa officials face the real prospect of extensive and detailed cross-examination”. Meanwhile, Accountability Now has prepared an extensive and detailed memorandum for the panel of experts in the Sassa/CPS matter, particularly with regard to any profit or benefit that could be derived by anyone in the payment chain, including Grindrod Bank and CPS. Advocate Paul Hoffman of Accountability Now highlighted in the memorandum that shortly before the Black Sash matter was heard in the ConCourt, former Minister of Finance Pravin Gordhan had red-flagged for Scopa the matter of the accrual of interest on funds that flowed between Treasury, Sassa, CPS/Grindrod Bank and grant recipients each month. Gordhan estimated that on average funds lingered with Grindrod Bank, a subcontractor of CPS for the purposes of the administration of social grant payments, for five days a month. “This means that over the five years of the initial invalid contract 300 days of interest on substantial funds has accrued while in the hands of Grindrod Bank. A further 60 days of interest will accrue in the year-long extension of the constitutional obligations of CPS to implement delivery of the social grants to recipients,” said Hoffman. One of the first orders of business of the panel, Hoffman suggests, should be to determine whether the implementation of payment of social grants has been continued as before on the basis that a “small margin” of interest is earned by Grindrod Bank. Hoffman said it is the function of the panel “to evaluate the implementation of the payment of social grants, and as it is likely that Grindrod Bank has continued to act in the way it has acted in the past, as set out in its press release referred to above, it is now the task of the panel to ascertain the fate of the interest accruals and to ensure that the interest is dealt with in a manner that is consistent with the requirements of the CC and in line with the orders it has made”. With regard to the independent audited verification of the accounting already provided by CPS in terms of a previous court order, “it is respectfully requested that the fate of the interest should be interrogated in that verification process as the accounting given so far by CPS does not refer explicitly to the accrual of interest on the large amounts that pass through the social grants administration each month”. CPS, says Hoffman, ought to be required to “disgorge profits already made immediately and to adjust its operations and those of Grindrod Bank in the delivery of social grant payments so as to break even”. He said that the “last thing the panel wants is to find, after the expiry of the year-long extension, that CPS fritters away its profits and is unable to repay them at the end of the accounting period”. On Wednesday Sassa’s CFO, Tsakeriwa Chauke, told the committee members that the agency had assumed that the panel of experts would work until the end of March 2018 and that it had budgeted R2-million for this.